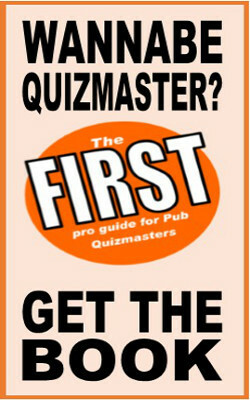 Free Quiz Questions on Geography: topics include anthems, culture, food & drink and language. How many human languages are there in the world? 300, 3000 or 3,000,000? Do more people around the world speak Spanish, Arabic or Japanese? In which country is the Barossa Valley wine making area? According to the words of its national anthem which Alpine country is the “Land of The Hammer”? From which European country does Stella Artois beer originate? What country do the Smurfs come from? Belgium, Sweden or Italy? Which French wine region do claret wines come from? Which country publishes the most books every year: China, Japan or the USA? Who are the most suicidal people in the world: the Chinese or the Polish? Country with highest no. of female pipe smokers per head of population? Scotland, Denmark or Greece? What country has the highest number of female pipe smokers? France, Denmark or Japan? Which country drinks more beer per head of population: Denmark, UK or Australia? Which EU country has the highest percentage of cannabis users: Denmark, Italy or the UK? Do more people in the world speak Hindustani, Bengali or English? Worldwide, are there more people who can speak English, Spanish or Russian? What are the six official languages of the United Nations? English French Spanish, Russian Chinese and Arabic. Which language has is spoken by more people around the world: Scots Gaelic or Esperanto? In bilingual Belgian Brussels, what two languages are used for all the official signs there? Which country eats most cheese per head of population: France, Britain or China? Which country has the most cinemas: France Japan or UK? Which Western European country has the highest proportion of Muslims in its population: UK, France or Spain? Which European nation is the most prone to public displays of affection (ie – kiss each other the most in public) The French, The Germans or The Swedish? Which of these foreign languages is studied by the greatest number of people in the UK: German, Italian or Japanese? There is a sport called fistball: which country have won the world championship most often: Germany or Japan? Which country gave out a medal called the Iron Cross to its soldiers in the Second World War: Britain, USA or Germany? Which country has the lowest divorce rate: Germany, Sweden or USA? Which European country drinks the most beer per head of population: Germany, Russia or Britain? What country drinks the most beer per head in Europe: Britain, Germany or Italy? Which country is home to Europe’s fattest women, according to an official EU survey: Germany, Greece or Iceland? What country chews the most gum per head: Greece or Iceland? Which country drinks the most Coca Cola per head of Population: USA, Iceland or Vietnam? Which European people read the most books (per head)? Greece, Iceland or France? Who are the couch potatoes of Europe, the country which rents the most DVDs per head in Europe: Croatia, Iceland or Scotland? Which country eats the most FISH per head of population: Scotland, Iceland or Japan? Which country has the largest tea consumption per head in Europe: Ireland, Greece or Sweden? What country won both Miss World and The Eurovision Song Contest in 1998, despite not even being in Europe? Which country chews the most gum per head: Israel or Vietnam? Which people in Europe spend the most money on eating out: Brits, Italians or Greeks? What country drinks most wine per head: Italy, Argentina or Australia? In cookery, what country does teriyaki sauce come from? Which country has the oldest national anthem in the world: Spain, India or Japan? Which country has the most Scottish pipe bands per head of population in the world: Scotland, New Zealand or England? Which country chews the most gum per head: Norway or Spain? What is the most commonly eaten food in the world: bread, rice or apples? Are there more people in the world who speak Portuguese, Arabic or Russian? Are there more people on Earth who use French, Russian, or Japanese as their official 1st language? There are six official languages at the United Nations, English, Spanish, French and Russia are four - what are the other two? Which country has the highest proportion of lesbians: Scotland, Wales or Ireland? Which is the most suicidal country in the UK: Scotland, England or Wales? According to various surveys, which teenagers eat more healthy fresh fruit: Scots or English teenagers? Who are the biggest chip eaters in Britain? The Scots, The Welsh or the English? Which country has a national anthem with no official words: Spain, Italy or France? Which EU country produces a wine called Rioja? Worldwide, do more people speak Spanish, Arabic or Russian? Who is the patron saint of Poland? Which country has the lowest rate of drug abuse in Europe: Sweden, Spain or Scotland? Which country drinks the most beer per head: Germany, Holland or Czech Republic? What day of the week is called is Donnerstag in German? Which country has the highest number of TV sets per head of population? UK, Japan or Brazil? Which country is did Fray Bentos pies originally come from: Uruguay, Nigeria or Italy? What colour are French post boxes and post vans?